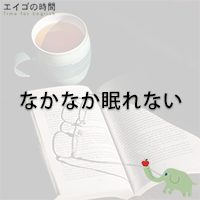 Home > ティータイム > なかなか眠れない – I have trouble sleeping. We had trouble getting a cab last night. I’m having trouble setting a password.